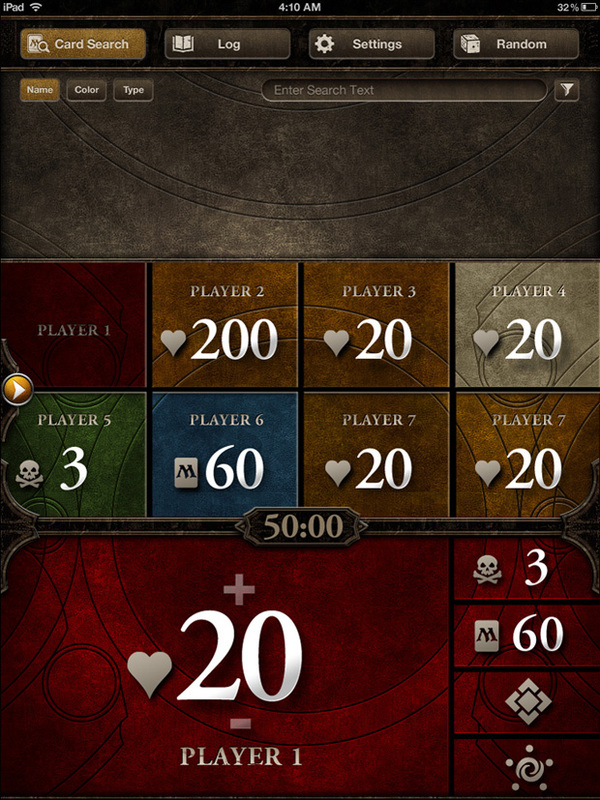 The free application will let you track matches and let you look up card rules on the fly. 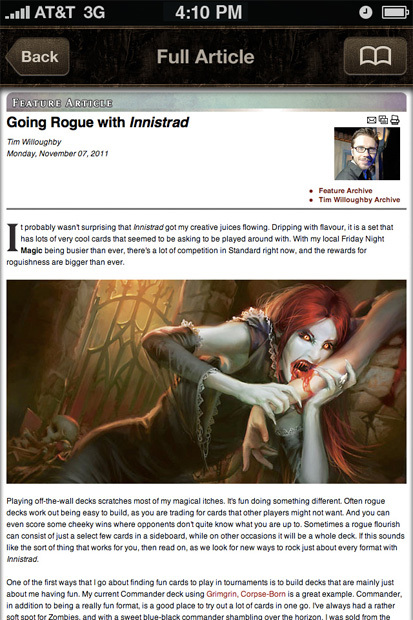 Those of us who play Magic in the office were bumrushed by an email sent out yesterday. 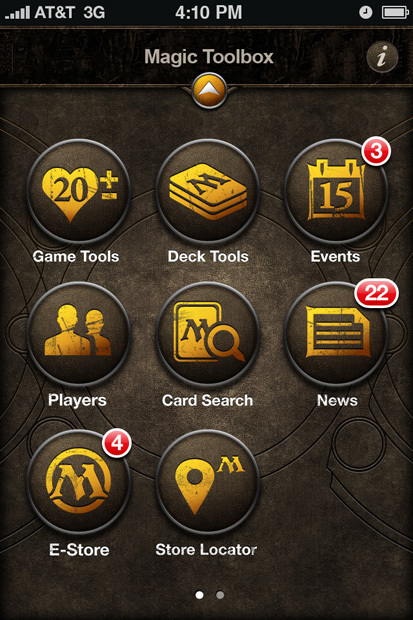 "Holy crap, there's an official Magic app? Downloading immediately." I was chagrined that the app wasn't out yet, but the features of the application are exactly what I want on my phone when I'm tapping lands and tossing down creatures. 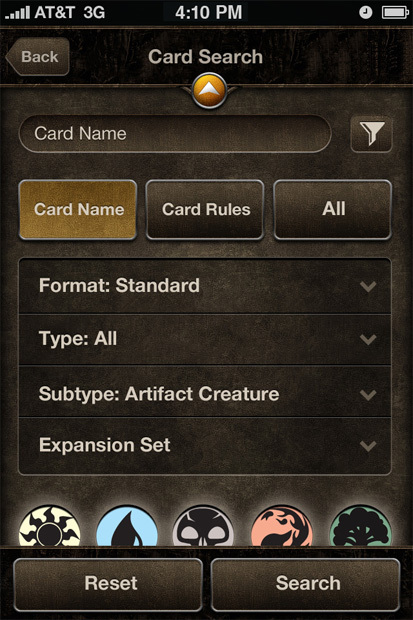 There are tons of third party apps for Android and iOS phones and devices that help with Magic already available, but the Magic: The Gathering Toolbox is the only official app that has all the tools a Planeswalker could ever need. The life-counter has all the settings you could possibly want. Do you play Commander and need to keep track of everyone's "Commander damage" in addition to their life? Yeah, this app has got you covered. Play against jerks who only summon creatures with Infect? The Toolbox has separate poison counters. 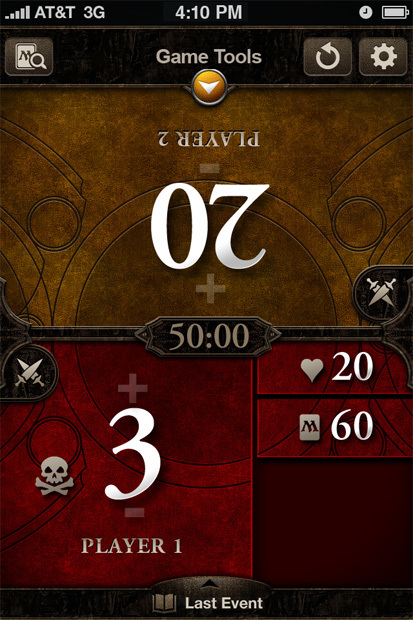 You'll even be able to build your deck on your phone and test its mana ramp capability with sample hands. Every one of the more than 10,000 Magic cards in existence will be available, and the app will be updated when new sets come out. Unfortunately, this is how Wizards is monetizing the app as you'll have to pay a "small fee" for new sets but I can't imagine such updates would cost more than a buck or two. 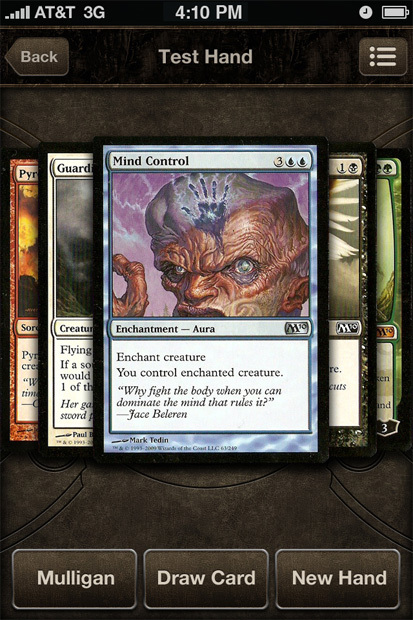 The Magic: The Gathering Toolbox is due out "later this month." That won't be in time for The Escapist office informal tournament, but I still will most likely be downloading it onto my fancy new Android phone the day it comes out.